Summers almost over, time to get out and see some LIVE music. Check out these hot shows! Only a few more shows for the summer jazz series at the coziest club in Parkdale! Next week (Thursday 24th) it will be THE BEST OF THE BEST (all the greatest musicians/singers/poets/comics from the summer for a great concert including Reiner Schwarz, Serafin, Roger Clown, Lyne Tremblay and more!) and finally (Thursday 31st) the series ends with a performance by Nick Ali and his band, Browman Electryc Trio. Doors are at 8 and the live performances are 9:30-Midnight. Only $5 at the door! Lula Lounge - Doors @ 7pm Show at 8pm. www.lula.ca. Dinner reservations guarantee seating. A double bill with the BABES IN JAZZ LAND- Featuring 10 of Toronto's most talented young females! On June 15th 2006, Jaymz Bee released their highly anticipated album with his new label Timely Manor, distributed by Fontana North/ Universal Music Canada. 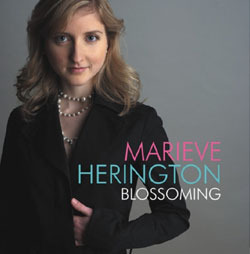 Now BABES IN JAZZ LAND member Marieve Herington releases her own debut album, a tribute to her favourite singer, Blossom Dearie, entitled BLOSSIMING. Don't miss a chance to see Marieve along with these talented ladies! 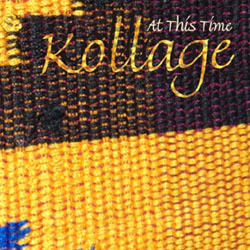 "Kollage is forcing it's way into top ranks of Canadian hard bop groups"
The Markham Jazz Festival kicks-off this week-end in Unionville with 'The World of Jazz'. This years' festival includes a diverse and eclectic mix of jazz performers who are not only drawn from the cream of the crop of Canadian jazz artists, but, come from a wide variety of other countries including the U.S.A. and Cuba. Highlights include Nimmons N' Nine…Now! on Saturday and Cimarron on Sunday. 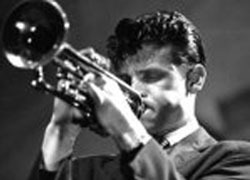 The first ever Chet Baker Jazz Festival commemorates the legacy of Chet Baker and the newly formed Chet Baker Foundation. This three-day festival includes a FREE concert at Yonge/Dundas Square with two special Concert Gala Fundraisers at the Music Hall on the Danforth as well as two tribute concerts at the Rex and Lula Lounge. The festival features world class artists such as Riccardo Del Fra, Tony Purrone, Randy Brecker, Harold Danko, Hilario Duran, Jane Bunnett, Guido Basso, Kevin Turcotte and many more... Jazz aficionados and lovers of good music will be sure to recognize and appreciate this world class talent. JAZZ.FM91 just announced the new line-up for their Sound Of Jazz Series which takes place at Harbourfront Centre and The Old Mill Inn this year. Like last year, the line up features some of the finest musicians in the country and the diverse themes ensure you'll want to attend more than one show in Canada's longest running jazz concert series. A Tribute to the Flute, A Tribute to Oscar Peterson, A Tribute to Chet Baker, B3 or Bust, Christmas with Emilie-Claire Barlow, Peter Appleyard, TV Theme Songs Go Jazz, A Valentine's Day Tribute to Louis Armstrong and Ella Fitzgerald, Jazz on Broadway, and finally A Trio of Trios at featuring the Laila Biali Trio, the Robi Botos Trio, and the Steve Koven Trio. 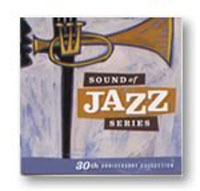 All concerts in the 'Sound of Jazz' Series are recorded for later broadcast on JAZZ.FM91 throughout the year. For information or to purchase tickets please visit: www.jazz.fm. Bullhorn has a full line-up of some of the best talent in Toronto. From a small trio to a big band, mentalists to magicians... we are happy to help you make your event a big success.